How do I sell my house without an agent in Thousand Oaks? If you’re looking to sell your house or investment property in Thousand Oaks without using a real estate agent, we can help. Although Co-Owner Ainslee Charles is a licensed real estate agent, sometimes it might be in your best interest to sell without using an agent. After all, paying 5-6% of the sale of a property in commission can be a lot of money. With the current housing prices in Ventura County, that can easily be $25,000 or more. In certain situations, California brokers and real estate agents can be very useful and earn their commission. Not only that, they can save you a lot of time and frustration while getting the highest visibility possible for your house. But depending on the realtor, this may not always be the case. How to avoid paying high commissions in your California house sale. In most Thousand Oaks real estate transactions, roughly half of the commission you pay as the seller goes to the buyer’s real estate agent. That doesn’t make a lot of sense, does it? Why should you have to pay for the agent representing someone else? It may not make sense, but that is what has historically been done. Luckily, there are a few ways to use that to your advantage. First, try to calculate the commission amount you will have to pay using the price that comparable homes have sold for in your neighborhood. Sometimes Thousand Oaks buyers who are not using a real estate agent won’t know or remember to include a commission for themselves for doing the work of an agent. It is not your obligation to suggest that they take a commission if this turns out to be the case. On the flip side, don’t be surprised if they do bring this up at some point during the negotiation process. Alternatively, you may want to consider offering 2.5% to buyer’s agents who bring their clients to view your house. That may be quite a bit of money that you will not be keeping in your pocket, but be aware that some realtors may not suggest take their clients to view your house if they know that they will not be getting a commission for it. Although that is definitely not in the best interest of their clients, that is just the reality of the situation. Some stats show that over 90% of transactions happen through the Multiple Listing Service (MLS). This is the main database that Thousand Oaks brokers use to list properties for sale in Ventura County. Historically, a seller was required to pay full commission to a broker to get their house listed on the MLS. Now in Thousand Oaks, and throughout Ventura County, there are “discount brokers” who will just charge a flat fee to list your property on the MLS. Sometimes, this fee can be as low as a few hundred bucks. But please be aware, these discount brokers often do not provide anywhere near the services that a traditional broker would provide. You will find that you will still be doing a lot of the work yourself, such as hosting open houses, setting up appointments, etc. Most of the major real estate websites, such as Redfin, Zillow, and Realtor.com are either members of the Ventura County MLS or pull data from the MLS. So in most cases, if your house is listed on the MLS, it will end up on most of the major sites. There are a few though that require a realtor to enter property information directly into their site, as they do not pull the data automatically. Some of these sites also allow non-realtors to post their own homes to their website. They oftentimes feature different packages that will allow you to feature your home in the hopes of getting more attention than other homes that are listed. As you might suspect, there is usually a cost associated with these extra features. Although the MLS can be considered the best way to advertise your house for sell, there are other methods as well. You can advertise your house on Craigslist, in newspaper ads, in magazines, etc. Also, holding open houses is a good way to get traffic in your door. Depending on market conditions at the time, some of these methods may work better than others. Bottom line is that marketing is still the best way to get visibility and the highest price for your house. Putting up fliers and ads in magazines might get you some calls, but you may have to reach 100s of people if you are really looking to get top dollar for your house. One of the reasons that Thousand Oaks real estate agents charge commissions is because in theory, they are spending a lot of money on marketing to advertise your house. We all know that all realtors are not created equal, so this will not always be the case. On higher end homes or “unique” properties, it may require thousands of dollars in advertising before the right buyer is found that ends up purchasing the home. 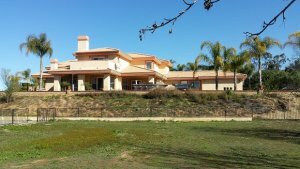 At Dream Home Property Solutions, LLC, we buy houses in Thousand Oaks and throughout Ventura County. We pay fair prices for properties and we can close in as little as 10 days, or on your timeline. Sometimes we buy Thousand Oaks houses to keep as rentals, and other times we will fix them up and then resell them to a family looking for a great home in a nice neighborhood. We close fast and pay cash in as little as 10 days. Give us a call now at (805) 250-8335 or fill out the short form over here.